Coan was the unanimous Hansen Award winner in 2016 as Suffolk's most outstanding player and a three-time All-Long Island first-team selection. Jack Coan’s time as Wisconsin’s starting quarterback has arrived. Coan, the Sayville native who lit up the Long Island high school record books as the Golden Flashes’ starter, will make his first career collegiate start on Saturday at Northwestern. The game kicks off at noon and is airing on Fox. 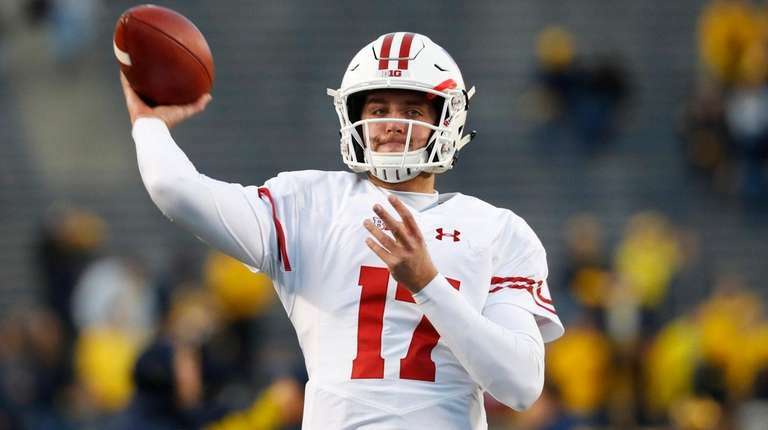 Head coach Paul Chryst told Fox Sports in an interview before the game that Alex Hornibrook, the Badgers' current starter who was in concussion protocol, will not play and Coan will replace him. "Excited for Jack," Chryst said. "Certainly, Jack has to do his part. We feel confident in him doing that." Chryst said the coaches believe Coan is "talented enough to do all the things that you ask your QB to do." "I like his demeanor," he said. "I've loved his approach, not just this week … really throughout the year. I feel good about the way he’s prepared. 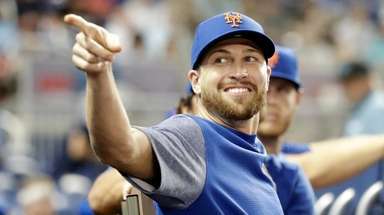 I’m looking forward to seeing him play." Chryst said Thursday on his radio show in Wisconsin that Coan had made “significant” progress since his freshman year and had taken practice reps with the first- and second-strings all season to prepare for any injuries. Coan, the unanimous Hansen Award winner in 2016 as Suffolk’s most outstanding player and a three-time All-Long Island first-team selection, owns the Long Island career record in passing touchdowns (128) and passing yards (9,787). He also has the Long Island single-season records for touchdown passes (40) and passing yards (3,431), setting both in 2014. Now a sophomore at Wisconsin, Coan appeared in six games last year for the Badgers, all in mop-up duty, with his last appearance on Nov. 25. He is 5-for-5 passing for 36 yards. Chryst has avoided playing Coan this season in order to preserve an extra year of eligibility, instead opting to play fellow backup Danny Vanden Boom late in blowout games. That’s because, under a new NCAA rule, a player may appear in up to four games without burning a year of eligibility. Chryst told reporters after Thursday’s practice that Coan has handled the lack of game time very well. "I think he's been great," Chryst said, per the Wisconsin State Journal. "I think he's been really purposeful in his work and preparation . . . I think he's enjoying and appreciating the opportunity to truly keep learning. Last year, when you're a freshman, you're going through a lot of stuff. All of them are firsts. So now he's been around, taken one lap around the track, and so I've been pleased and appreciate the way he's handled it."